The most expensive part of Comic-Con can easily be transportation to San Diego and your hotel accommodations. Comic-Con offers a hotel pre-sale where you can book through one of the hotels included where you're guaranteed a shuttle bus stop. None of the hotels are super close to the convention center, but the free shuttle makes it super easy to get to and from the convention center. The idea of the pre-sale is to keep prices fairly modest since hotel prices skyrocket at this time and so you can book your hotel before they open up the regular sale. Last year, we tried to go through the regular sale only to come out empty handed. They had a system where you ranked the hotels in order of preference and we didn't end up with any of our choices. We thought we might be out of luck until we found out that we could still book a hotel through the pre-sale which we did immediately to ensure we had a room. This year, we actually booked outside the pre-sale because we were able to find a hotel that was slightly cheaper than the options that were left. We planned around last year's shuttle stops and we were lucky enough to have a bus stop right next to our hotel. It was a 30 second walk from our room too which was amazing and we never had to wait longer than 5 minutes for a bus. It was blissful. The one thing that sucked about our hotel was the traffic we hit when we arrived. Our hotel was at the hub of a lot of hotels which meant it literally took us an hour to exit the freeway and get to our hotel when it normally would only take 5 minutes. Note for the future: Arrive earlier and don't dilly dally at stops before getting to the hotel. When we finally checked into our hotel, we hopped on the shuttle to go to the convention center to pick up our badges. Badge pick up is upstairs and there is an entrance door and escalator dedicated soley to those needing to pick up badges. There was no line when we arrived so we were able to step up to someone who scanned our registration email (luckily we were able to pull up the email on our phones since we forgot to print it out), checked our ID, and then sent us to pick up our things. I picked a line at random in hopes that I would receive the Warner Brothers swag bag I was wishing for. 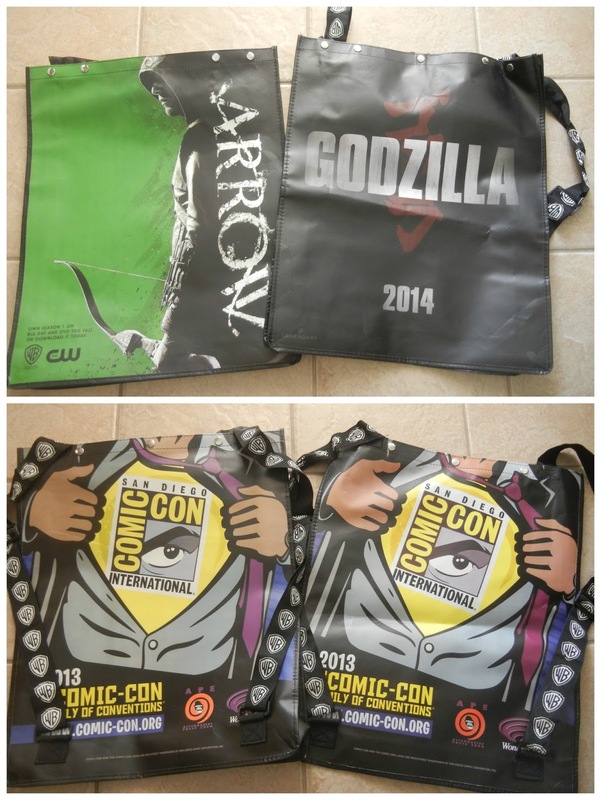 I had hoped for the Big Bang Theory bag or Arrow as my second choice, but I got Godzilla instead. Andrew did get Arrow though so not all was lost. 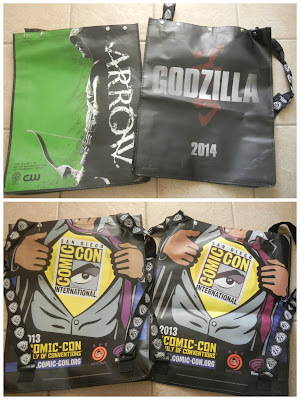 Along with my bag, I received the Comic-Con events guide and souvenir book. At some point I also received a Dexter lanyard to put my badge on. The whole pick up process was very well organized and it took no more than 10 minutes. Last year, we did the pick up at the Town and Country Hotel on preview night and that was equally easy to do. From what I've heard, this is the best time to pick up your badge. If you have to do it the day of, the lines are forever long and it takes away far longer of your day that you could be spending doing something else. Assassin's Creed Black Flag pirate ship at the dock. That line is for everything except Hall H.
The full schedule for Comic-Con isn't released until a few weeks prior. When it does come out, I would suggest looking at it online beforehand so you kind of know what you're going to do each day. Plan first choices along with a couple backups. Depending on the panel, it may be harder to get into than you planned for so you will definitely need other ideas of what to do. Last year, we were able to get into Hall H (the largest and usually the hardest room to get into) and Ballroom 20 (second biggest room and equally hard to get into) by getting into line by 6 am. This year we had planned on camping out for Hall H for the super packed Saturday, but failed to do so and tried to get in line at 4 am instead only to find out that the line had extended a lot further than we had expected it to be so we didn't even try. Even though we missed out on the craziness in Hall H, we were still able to attend some excellent panels. Backpack - You may be able to get away with a messenger bag, but I prefer a backpack to handle the weight. 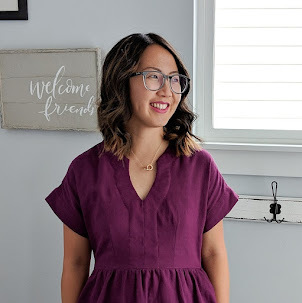 You'll want it to hold your events guide, food (we packed two meals each day), snacks, water, and other essentials like a camera, wallet, phone, etc. There is food inside the convention center, but it's mostly concession foods and the price isn't worth it. It's also much more convenient to just eat where you happen to be rather than go out to get food. We ate in line and between (sometimes during) panels. Thermal lunch bag - If you're taking meals with you, which I highly recommend, you might want to bring some sort of thermal tote with you to hold your food. We bought along a thermal tote that fit into our backpacks. Comfortable shoes - You'll end up doing a lot of walking and having a pair of comfy shoes makes a huge difference. Bringing two pairs with you so you can switch out would be a good idea too, but it's all personal preference. Last year I wore my crocheted TOMS the whole time and this year I wore my Reef flip flops. Light jacket - If you get cold easily, which I do, I would pack a light layer for the air-conditioned interiors. This year, I had a light cardigan on all day, every day with a pair of shorts. Water bottle - I've always brought plastic water bottles but having a reusable one would be useful so you can refill at drinking fountains. A bottle of water here cost us $3 this year. External battery charger - This is totally optional, but it's a nice thing to have. Some people will bring their chargers and charge their phones by an open outlet, but I never found that to be really convenient for me. This year, we purchased an external charger online and it was nice to know that I wasn't going to be completely phone-less once my battery ran out. We bought THIS. Portable chairs - Line waiting can be for hours on end and having some sort of chair is a lifesaver. There are many different options out there and most are very compact so you can take it with you throughout your day. We have POCKET CHAIRS and our friends have COLEMAN STOOLS which are slightly bigger all around. We bought our Pocket Chairs through an online Groupon so they were cheaper than Amazon, but that was years ago. If we were to buy more chairs in the future, we would probably go for the ones our friends have above or we'd try out the TRAVELCHAIR. Pen and/or sketchbook - Having a pen to mark up your events guide is super handy and I always forget to bring them with me so that's why it's on this list. A sketchbook might come in handy as well when you're going through the exhibit hall or if you happen upon a celebrity, but I've never carried one with me. Hopefully this answers most people's questions about how to get to Comic-Con and what to expect. Stay tuned for more posts as well as a recap of things we did each day. If I missed anything, let me know.